Reader copy. Hardback with dust jacket in protective sleeve, ex-library(officially withdrawn) with usual library stamps/markings, some shelf wear to boards and handling marks to text block/page edges, otherwise good clear text & binding fine. 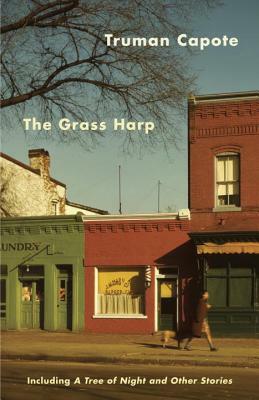 The Grass Harp, published 1973, 191pp, isbn0434108022. 21B.